Should PNC Financial Services Expand Its Capital Markets Group? 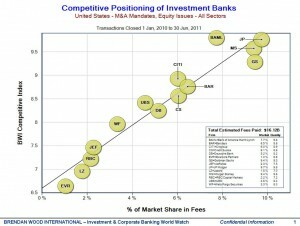 August 15th, 2011 – PNC Financial Services (PNC), who has steadily built a capital markets presence is positioned for the next step – lead orders for Equity underwritings and M&A advisory. PNC has been active over the past 2 years in the debt advisory having been on more than 225+ syndicate positions, putting PNC in the Top 20 for U.S debt transactions. But during the same time period, PNC has only been active on 80+ equity syndicates, and outside the Top 50 in terms of M&A market share. The decision to expand the capital markets group could be seen positively by shareholders. PNC currently enjoys a Top 20 ranking globally in terms of shareholder confidence for banks, with top marks for both strategy and balance sheet. PNC has attracted capital and customers. 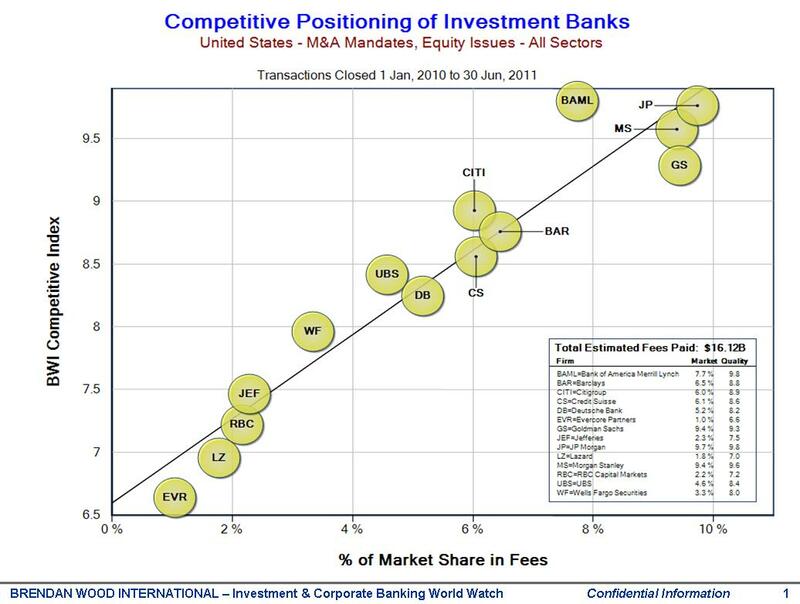 Can it now attract TopGun bankers in Equity and M&A to capitalize on its cross-sell potential? For initial distribution to the Brendan Wood Panel consisting of leading shareholders, corporate executives, corporate directors, TopGun analysts, TopGun bankers, and other senior banking executives.